Switching up your hairstyle doesn’t have to warrant a visit to the hair salon. There are plenty of ways you can change your hairstyle dramatically with little effort and at the comfort of your own home. For one of them, you just need some skill in plaiting braids. A side braid hairstyle gives you a much-needed change to an unruly long or short hair with little effort. With a single or several braids plaited on the side, you can end up with a sassy, elegant or bohemian look. No hair-blowing, gelling or cutting needed, what more can you ask for? 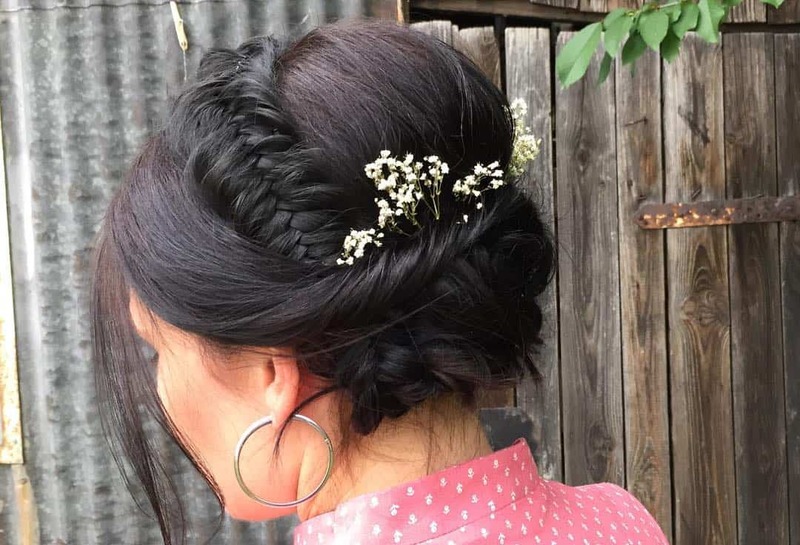 These versatile hairstyles can become your go-to choice for whatever occasion you have for the day. It truly is a fun look to try out. If you still need some convincing, then you should check out our list of brilliant side braided hair examples. We’re sure you’ll find more than the one you’ll fancy for yourself. Long blond hair with windblown curls and side bangs is already a cute hairstyle. Add a single inner french on the side and you have an easy wild boho rockstar look with little effort. The half-up top bun is a popular hairstyle favored by sporty types and those who love to exercise. Posh up this workout style with a few rows of micro cornrows. Fierce and fancy, all on one. 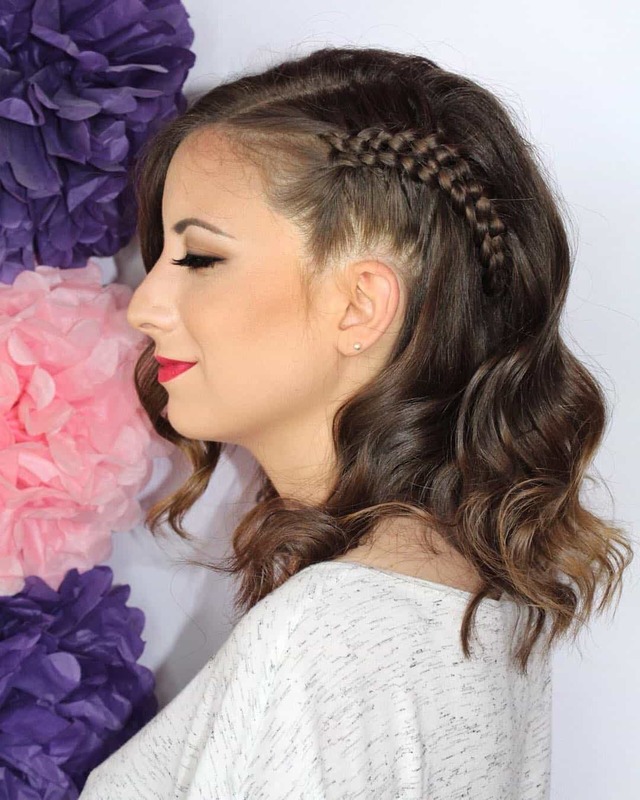 Side waterfall braids ending in a floral twist will transform straight shoulder length. 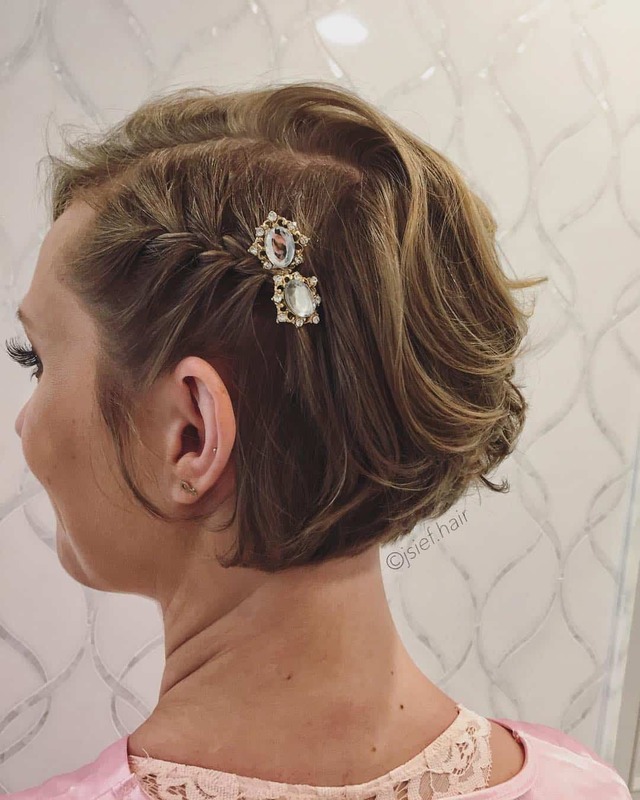 Playful, yet elegant this hairstyle will do nicely for proms, weddings or special occasions when you don’t want to bother with an updo and accessories. Turning a shoulder-length hair into an elegant do has never been easier. With soft waves and a more complicated braid like this beautiful five-strand side braid, you’ll look dashing at any special event. On an updo since the hair is already pulled back, but that doesn’t mean you can’t play around with side braids. Here is a fancy chignon accessorized with nothing more than two well done side dutch braids. Shapes and texture can turn a basic ponytail into a party-ready hairstyle. 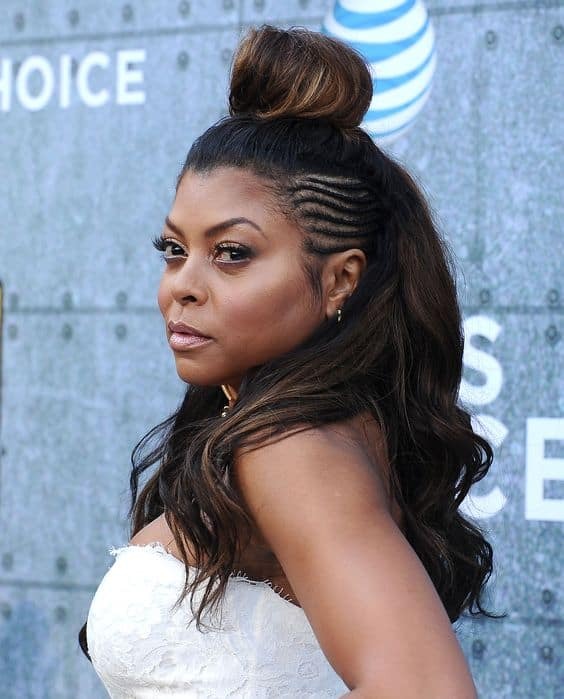 Like this stunning high long ponytail with sharp triangle parted cornrows going all the way to the back of the head. A cool and fun hairstyle great for summer. Braids aren’t exactly the first choice when you want to make your hair appear more voluminous. Think again. 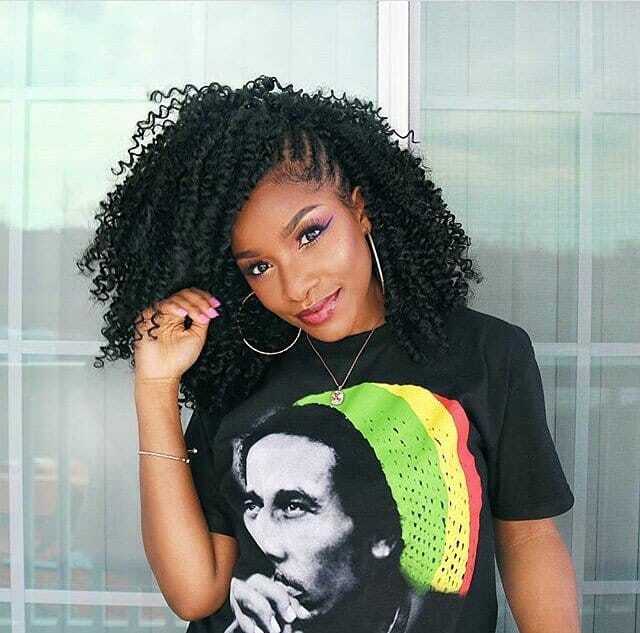 With a couple of vertical braids on the side, you’ll lift your hair on the top, flip it over, and your hair will look twice as thick as before. It’s only fitting to do a whimsical braid on an already fairy tail colored hair. 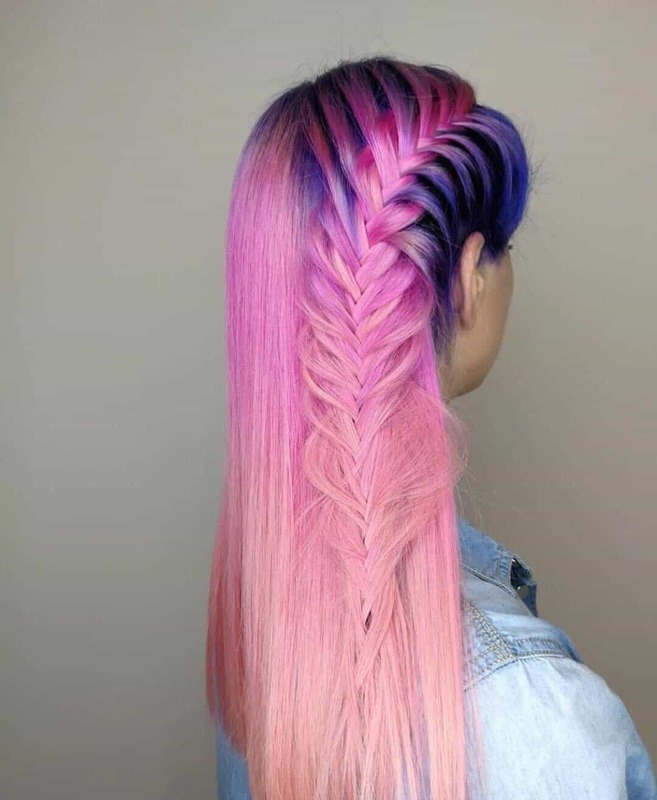 This lovely flowing pull out waterfall braid only is the perfect compliment to this three-tone unicorn hair. Edgy, bohemian, elegant, all these styles can describe this look, depending on how you want to see it. 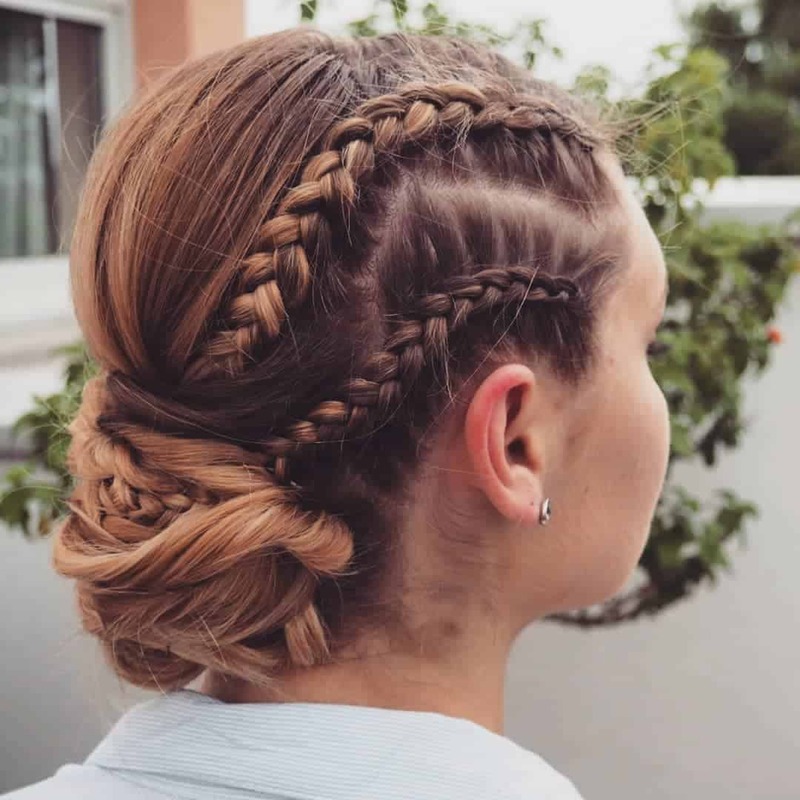 The branching different-sized cornrows blending into the loose hair in the back will give you a look you can pull off at a formal occasion or a wild night out. The best thing about pixie haircuts is that they’re low maintenance, while the downside is that you don’t have many choices in styling them. However, if you want to tame a slightly longer pixie, like this one, a single side cornrow near the top will do the trick perfectly. 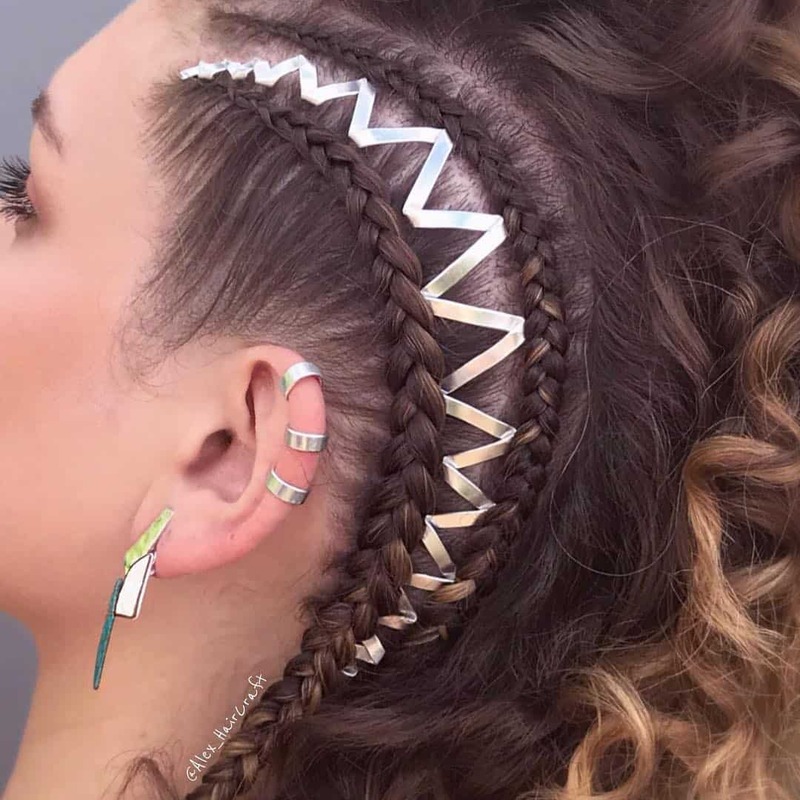 Side cornrows arrange in sections like a swirling path through the waves. This is an easy hairstyle that begs to be worn on the beach. Add a few ocean-colored cuffs and rings and you’ll have a complete knock-out look. 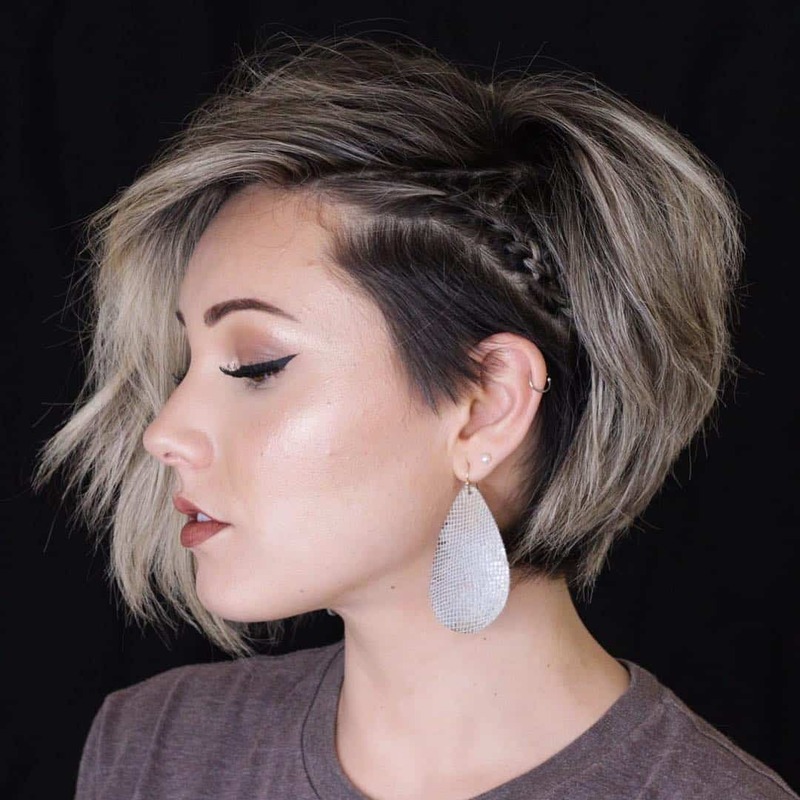 Short and sweet, this bob is complemented by a single braid that turns the casual haircut in a fancy do. 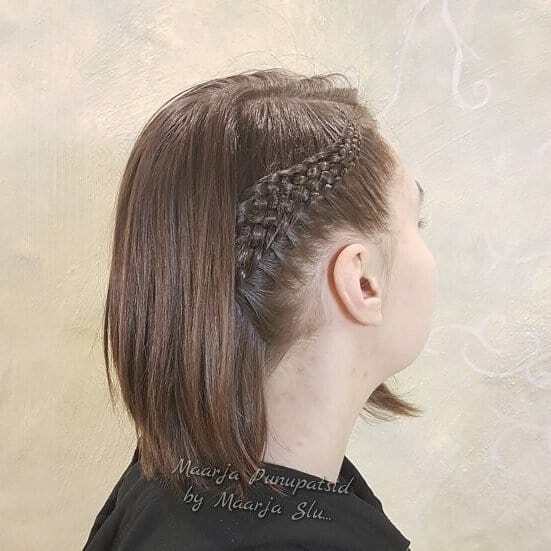 The short inside out French braid left a but loose gives the hairstyle a bit of texture that can be adorned with your favorite hair clip, or any other accessory you might fancy. A high spiked Mohawk isn’t actually an everyday hairstyle, but here is an awesome one when you’re feeling bold. Platinum blond spiked mohawk toned down with some intricate woven braid is a hairstyle that will turn heads on any party. Having natural loose curls is a wonderful wild hairstyle in on itself. 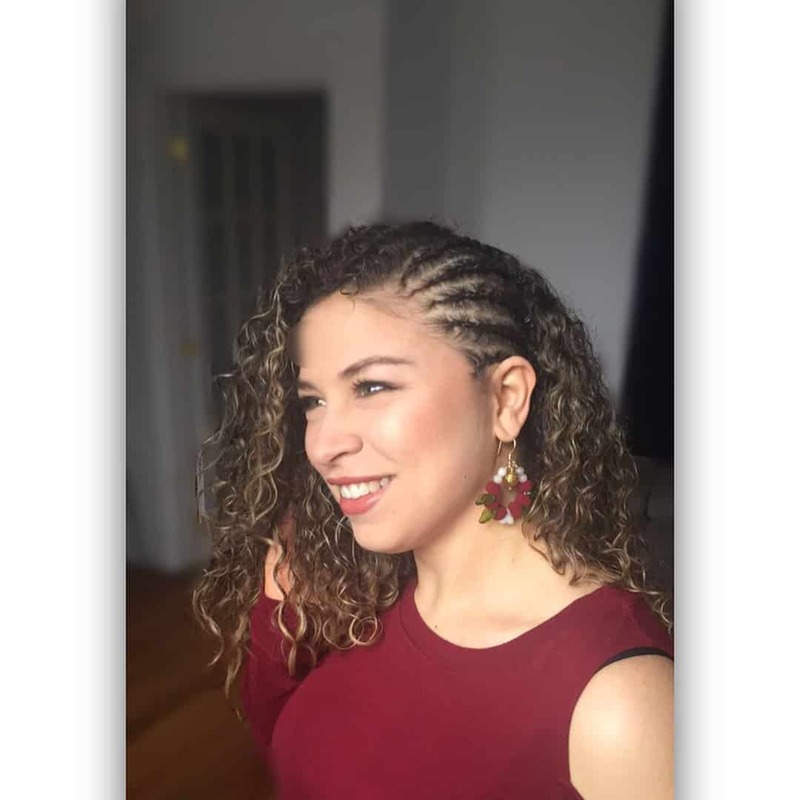 Still, if you want to keep the curls flowing, yet give it a little flare, a few side cornrows will frame your face and give you a more playful look. Gathering all your hair is a side braid is a hairstyle you can do when pressed for time but can be quite generic. To give it more personality without losing time on styling, try this fun double knotted side braid. It will turn and twist heads for sure. Halo braids are a great hairstyle choice when you have a full day’s appointments. 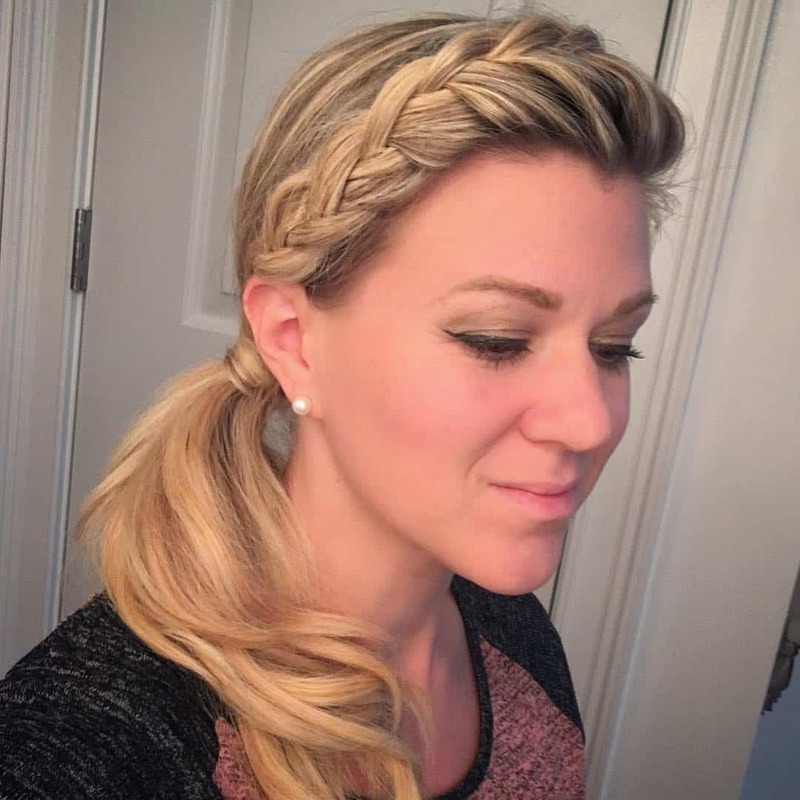 This halo side braid with a ponytail is appropriate for hanging out with friends or attending a business meeting. An all in one hairstyle, for sure. 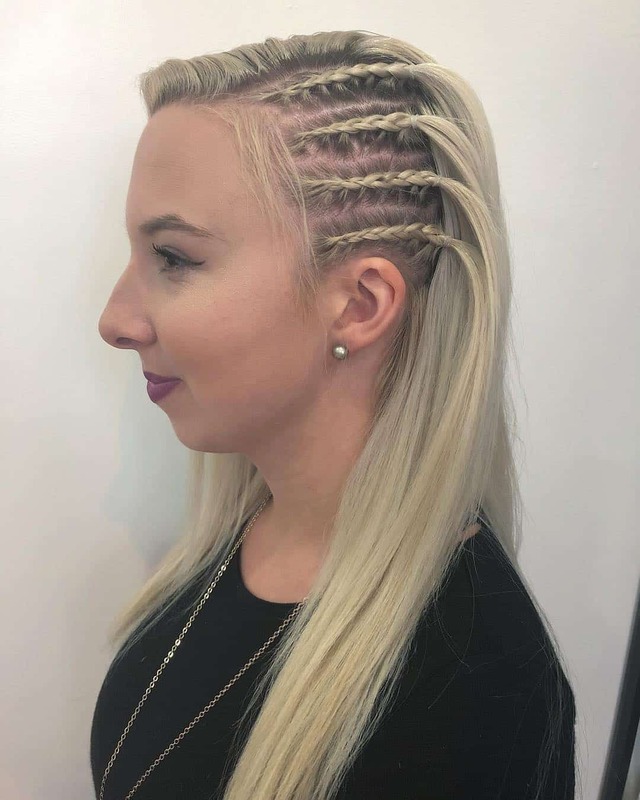 Cornrows can be hard to do, so here is a nice alternative that will give you pretty much the same effect. 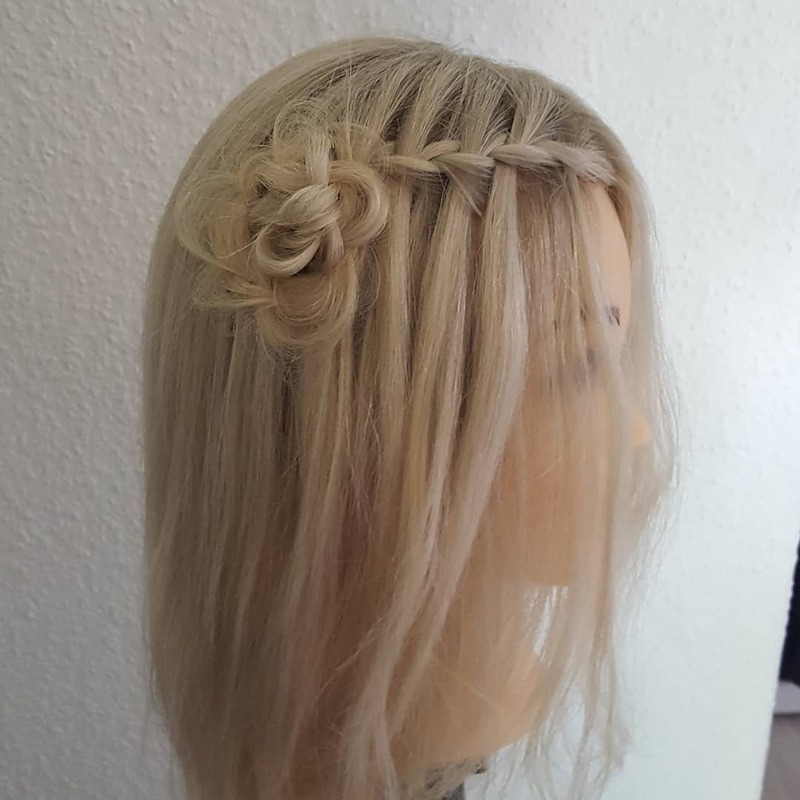 Four inside out french braids to the side are great if you’re looking for a bit more texture to a straight shoulder length hair. 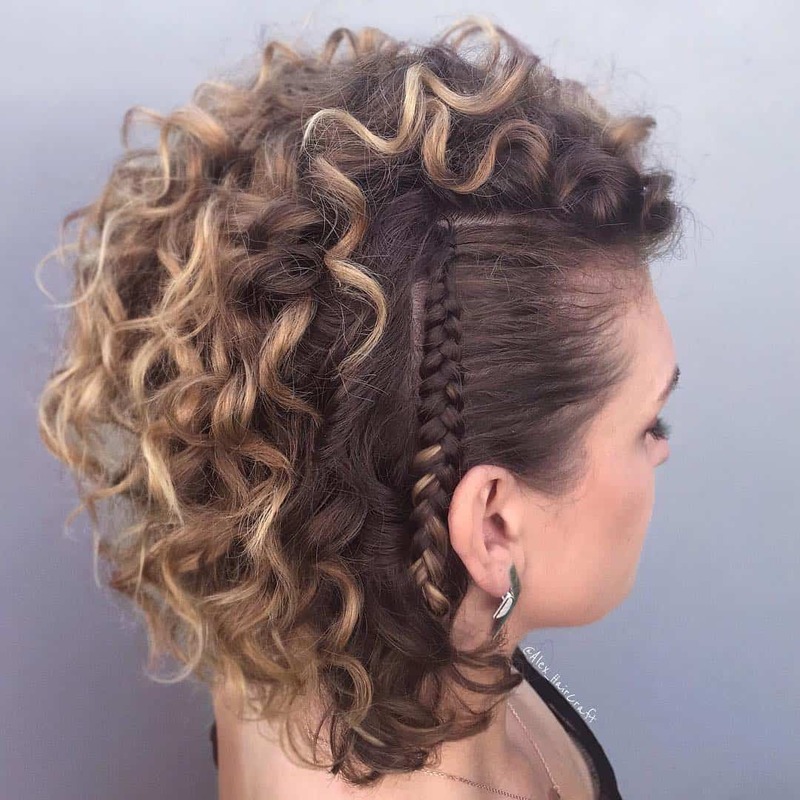 Here is another soft side-braid look for shorter curly hair. 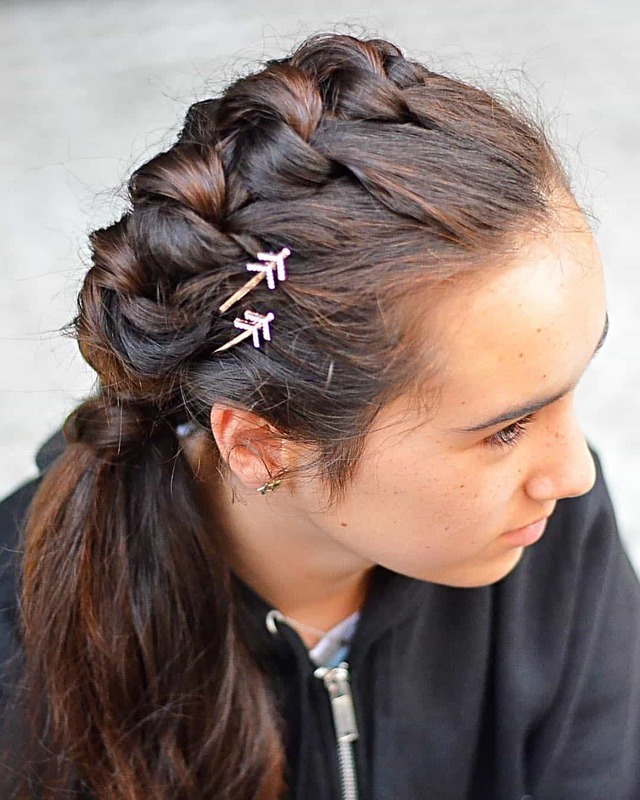 Braiding together a few loose strands and tucking them in with a fancy hair clip or a simple bobby pin is a sure way to achieve an effortless classy look. Feeling a bit bold? How about you try this corset braid on for size? Definitely an unusual look, but edgy and fun nonetheless. 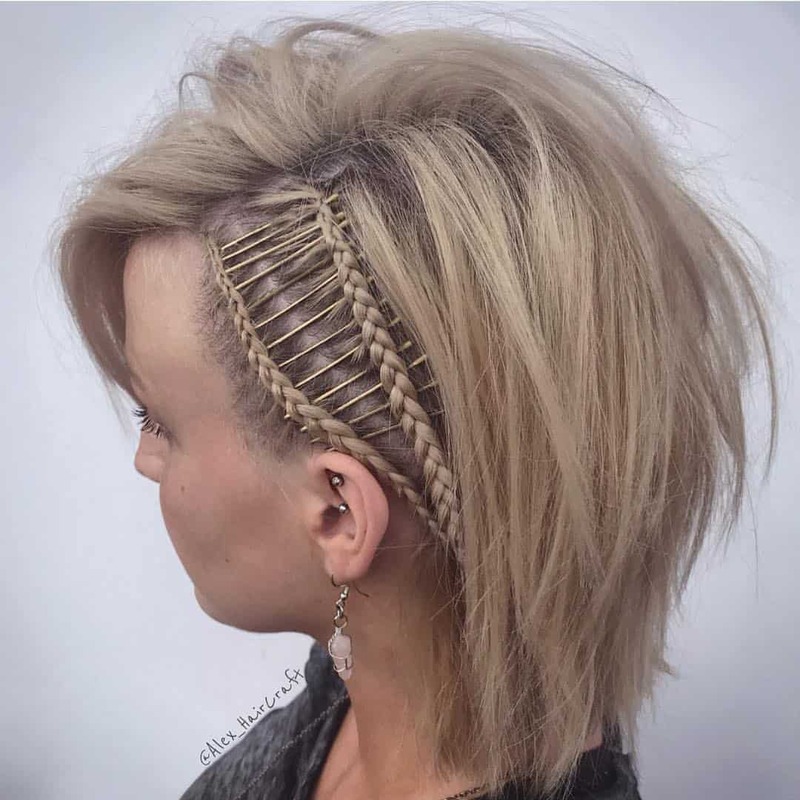 Two French braids connected together with a series of bobby pins and you too can rock this wicked corset braid look. Another cornrow side braids, don a bit more to the back, to smooth out the curls and open up the face behind all that gorgeous hair. 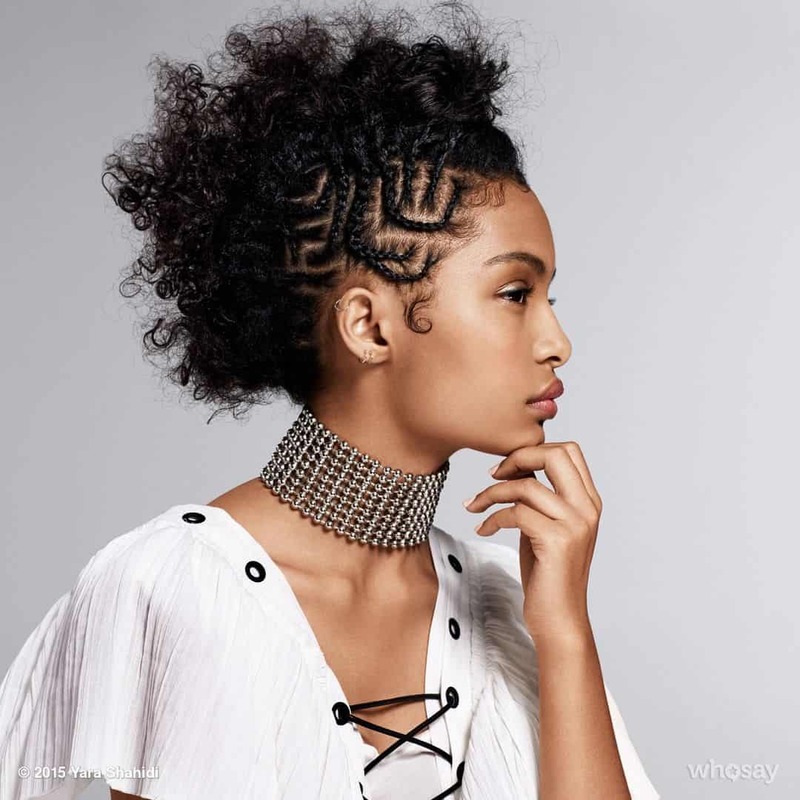 When it comes to short and curly, side braids work wonders. 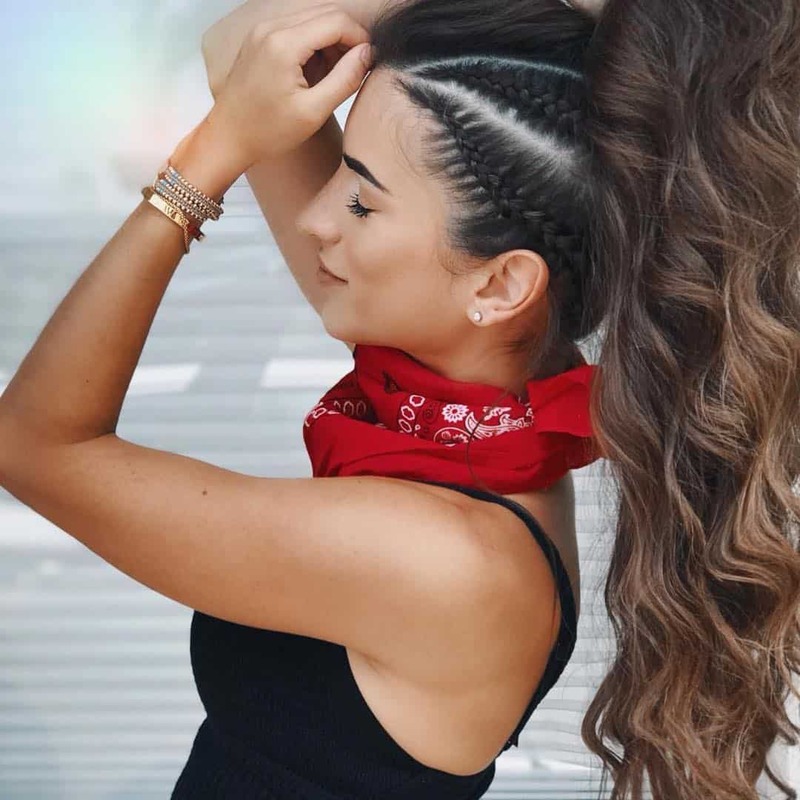 Side sweeping and pulling back the hair on the side and keeping it in place with a single chunky vertical braid is certainly a hairstyle you can try when wanting something more eye-catching. Side braids can be a great addition to an elegant updo. This lovely side fishtails with a bun can be perfect for your wedding day or for any special occasion when you need to look sophisticated. 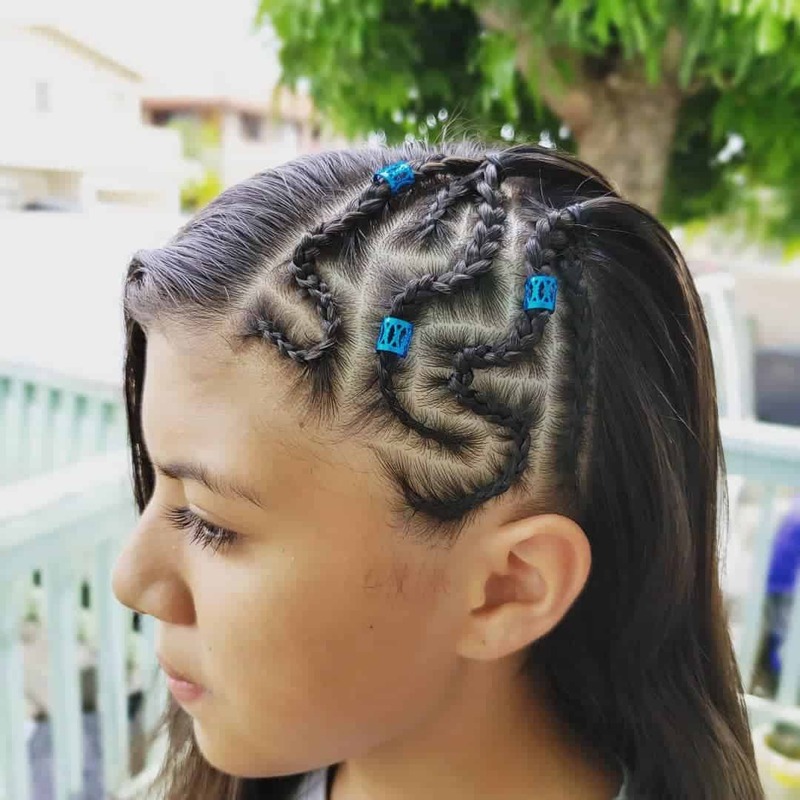 Aren’t these geometric cornrow loops just awesome? 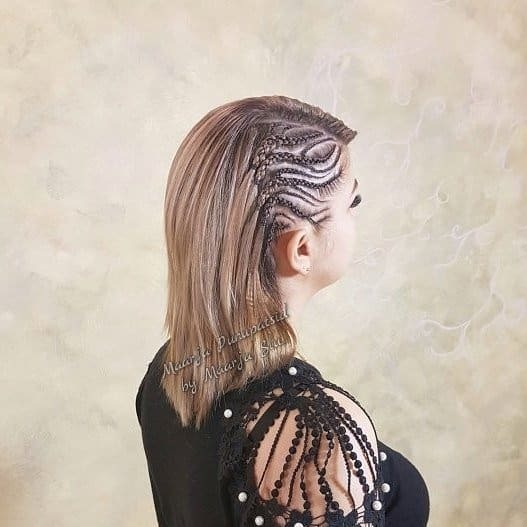 Making the hairstyle more colorful with a braided pattern is a sure way to stand out in a good way. And this one will work on any length and type of hair for sure. For our last brilliant side braid hairstyle, we offer you this ribbon corset braid. The twist here is that the ribbon is actually a piece of bendable metal. 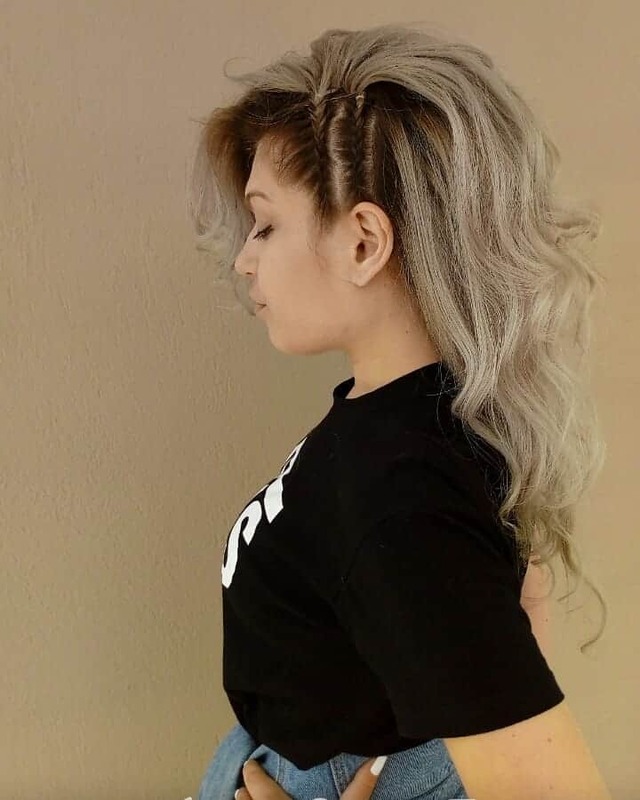 Looks amazing, and gives you the challenge to look for your own unique way to create your corset braid.